The American-Darling® B-84-B incorporates more than 100 years of experience in the design and manufacture of fire hydrants for even the most demanding firefighting applications. The Darling legacy dates back to 1888, when the Darling Pump & Manufacturing Company was founded in Williamsport, Pennsylvania. The AMERICAN name has become a fixture in heavy fire load facilities throughout the world. AMERICAN hydrants are synonymous with providing high pressure service, with the lowest flow loss and minimal operating torques. 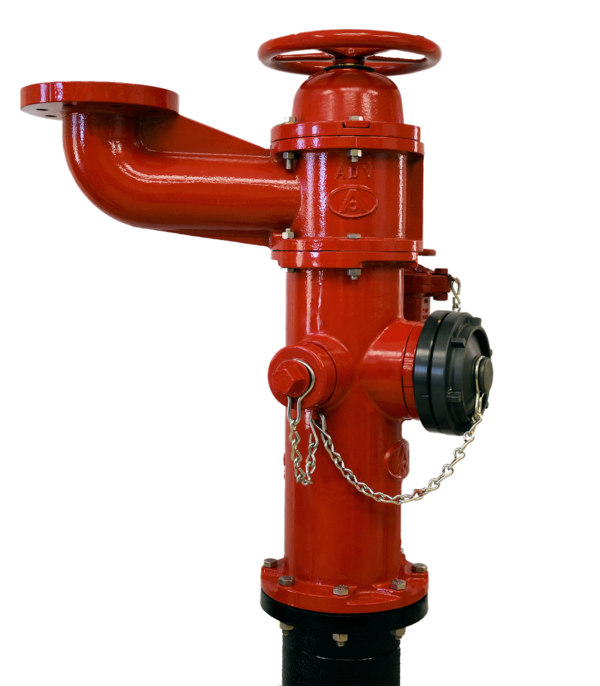 The B-84-B fire hydrant has all the features you typically expect from the highest quality fire hydrants. The hydrant incorporates a durable ductile iron body, stainless steel fasteners and an upper barrel that is coated with a state of the art e-coat primer and polyurethane top coat. The B-84-B fire hydrant is UL Listed under file number HBOR.EX2417 and has been Approved by FM Approvals in applicable configurations. The B-84-B fire hydrant is Certified as complying with NSF/ANSI Standard 61 and NSF/ANSI 372 which exhibit compliance with the U.S. Safe Drinking Water Act. For more information in helping to identify the application that best fits your needs, please email your contact information to: AFCIndustrial@american-usa.com.